Not all islands are created equal in terms of wildlife spotting: Though it would be markedly more convenient for travellers, wildlife across the Galapagos Islands is not centralised around one little island. Different species tend to frequent different areas, like Fernandina has the largest colony of marine iguanas in the archipelago, in addition to a big sea lion colony, while Punta Espinosa in Espanola is the place to go to spot albatross. You’ll find the biggest population of Galapagos penguins around Tagus Cove on Isabela, as well as many giant tortoises. Work out what wildlife you want to see most then you can make a more informed decision about what islands you want to see. The best time of year to visit depends on what you want to experience: Like all places, different times of year appeal to different people, depending on their interests. So before booking your trip, decide on what you most want to see or do while in the Galapagos, and that will help determine when you should go. For instance, January to March is best for divers and snorkelers because the sun is strongest and the water visibility is best, ranging up to 30 metres. February to April is the best time to see land birds, sea lions, turtles and tortoises breeding or nesting, while June through to November sees the Humboldt Current, bringing with it an abundance of plankton and nutrients in the water, attracting more fish and sea birds such as albatross and penguins. Cool July is also the mating season for blue-footed boobies. 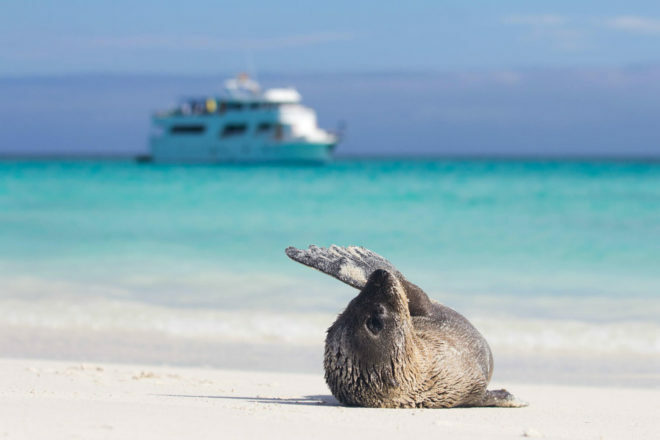 Cruises regularly change their itinerary to protect the environment: In order to protect the Galapagos National Park, there are numerous restrictions in place to ensure different visitor hotspots don't receive too much traffic. This means the same cruise cannot visit most island-based sites more than once a fortnight. So unless you book a 14-day cruise, don’t expect to visit all the islands and wildlife-spotting sites you may have hoped for. Ask your cruise operator before booking about the best times and tours to suit your interests. 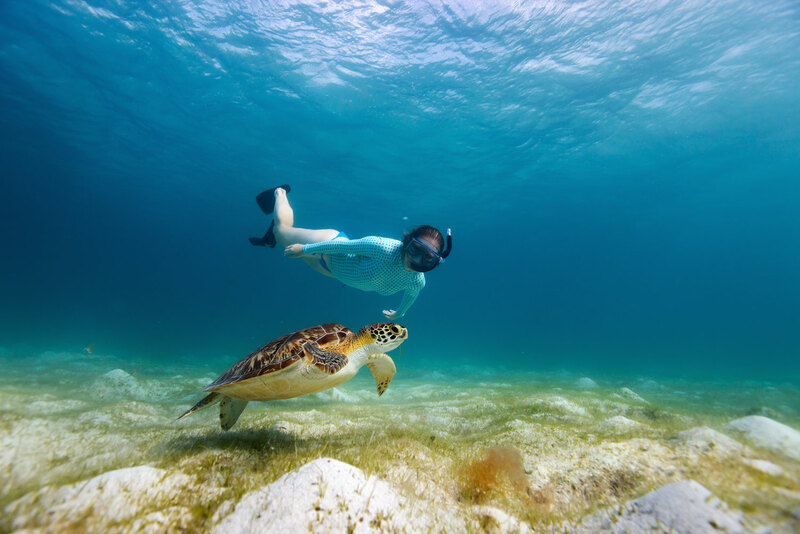 There are three different ways to see the Galapagos: There are essentially three options when it comes to exploring the Galapagos Islands; a land-based package, an island-hopping package or an expedition cruise. The most economical option is the land-based package, which involves staying in a hotel on Santa Cruz, Isabela or San Cristobal Island for a number of nights, and embarking on day trips to various surrounding islands to explore the local sights. The drawback though is that you may be restricted as to what other islands you can reach. Also, while there’s several budget accommodation options, there’s only a handful available at the premium end of the scale. Meanwhile booking an island-hopping package means you’ll stay on two or three islands depending on how much time you’ve allocated (unlike the land-based option where you’re restricted to just one place), allowing more opportunities for wildlife and scenic viewing as you base yourself in different places. As for expedition cruises, they usually start and finish in either Santa Cruz or San Cristobal Island, and offer a pickup service from the airport, taking you direct to your vessel. Cruises vary from 16 to 100 guests, but unlike some mega oceanliners, the focus is on landings, observing wildlife and learning about their intricacies from expert naturalist guides. While Galapagos cruises do tend to be more expensive than land-based packages, they offer a more interactive experience, allow you to explore further afield, and usually include all meals. 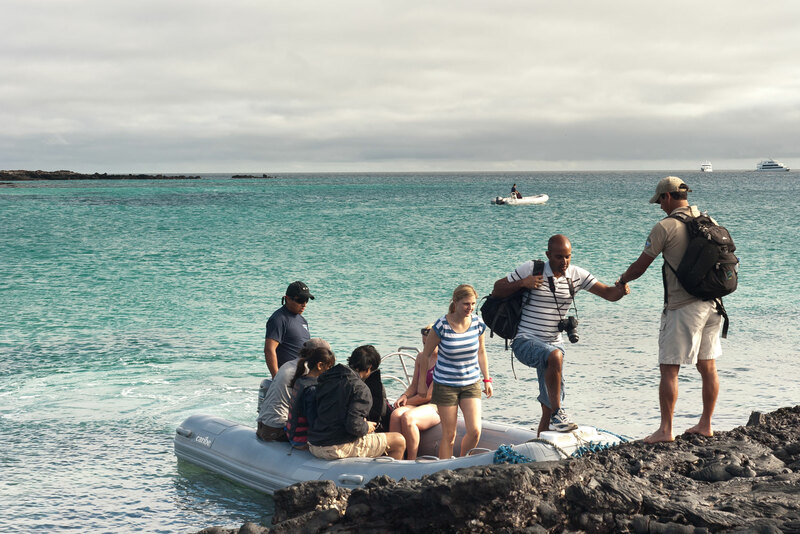 There’s a plethora of adventure activities: If sitting back and watching the world go by isn’t your holiday style, the Galapagos is an idyllic setting for getting out and amongst nature. There are guided hikes available, canoeing and snorkeling can be arranged (and comes included in some cruises), as well as diving on specific dive boats. However if you are diving, keep in mind that you won’t be able to dive the day after or before your flight, so allow yourself enough time when booking. The Galapagos Islands is a bucket-list destination for travellers the world over, drawn by its stunning landscapes and exotic wildlife. But when it comes to making this once-in-a-lifetime journey a reality, the options and necessary considerations can be overwhelming. Here we look at the basics you need to know before booking your own Galapagos adventure. Considering the remote location of the Galapagos Islands, expect the first and last days of your itinerary to be spent largely in transit. With this in mind, make sure you give yourself atleast five days to explore the area, so you’re not rushed and there’s less pressure to see wildlife in such a short window of time (which, when it comes to wild animals, you can never bank on). Cruises usually vary from four to 14 days – opt for the latter. There are essentially three options when it comes to exploring the Galapagos Islands; a land-based package, an island-hopping package or an expedition cruise. The most economical option is the land-based package, which involves staying in a hotel on Santa Cruz, Isabela or San Cristobal Island for a number of nights, and embarking on day trips to various surrounding islands to explore the local sights. The drawback though is that you may be restricted as to what other islands you can reach. Also, while there’s several budget accommodation options, there’s only a handful available at the premium end of the scale. Meanwhile booking an island-hopping package means you’ll stay on two or three islands depending on how much time you’ve allocated (unlike the land-based option where you’re restricted to just one place), allowing more opportunities for wildlife and scenic viewing as you base yourself in different places. As for expedition cruises, they usually start and finish in either Santa Cruz or San Cristobal Island, and offer a pickup service from the airport, taking you direct to your vessel. Cruises vary from 16 to 100 guests, but unlike some mega oceanliners, the focus is on landings, observing wildlife and learning about their intricacies from expert naturalist guides. 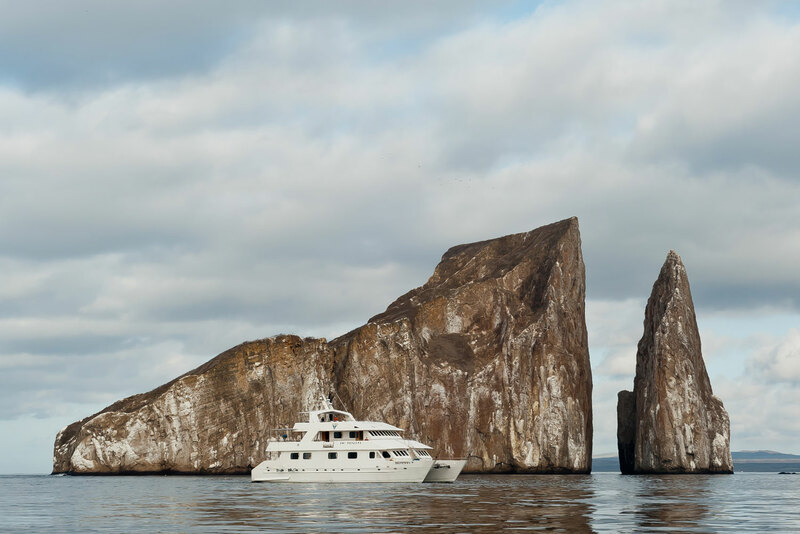 While Galapagos cruises do tend to be more expensive than land-based packages, they offer a more interactive experience, allow you to explore further afield, and usually include all meals. If sitting back and watching the world go by isn’t your holiday style, the Galapagos is an idyllic setting for getting out and amongst nature. There are guided hikes available, canoeing and snorkeling can be arranged (and comes included in some cruises), as well as diving on specific dive boats. However if you are diving, keep in mind that you won’t be able to dive the day after or before your flight, so allow yourself enough time when booking. Like all places, different times of year appeal to different people, depending on their interests. So before booking your trip, decide on what you most want to see or do while in the Galapagos, and that will help determine when you should go. For instance, January to March is best for divers and snorkelers because the sun is strongest and the water visibility is best, ranging up to 30 metres. February to April is the best time to see land birds, sea lions, turtles and tortoises breeding or nesting, while June through to November sees the Humboldt Current, bringing with it an abundance of plankton and nutrients in the water, attracting more fish and sea birds such as albatross and penguins. 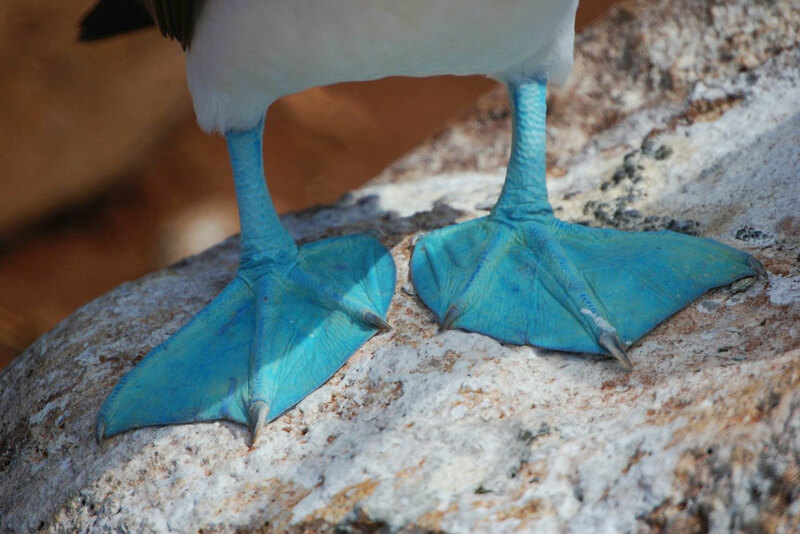 Cool July is also the mating season for blue-footed boobies. Though it would be markedly more convenient for travellers, wildlife across the Galapagos Islands is not centralised around one little island. Different species tend to frequent different areas, like Fernandina has the largest colony of marine iguanas in the archipelago, in addition to a big sea lion colony, while Punta Espinosa in Espanola is the place to go to spot albatross. You’ll find the biggest population of Galapagos penguins around Tagus Cove on Isabela, as well as many giant tortoises. Work out what wildlife you want to see most then you can make a more informed decision about what islands you want to see. In order to protect the Galapagos National Park, there are numerous restrictions in place to ensure different visitor hotspots don’t receive too much traffic. This means the same cruise cannot visit most island-based sites more than once a fortnight. So unless you book a 14-day cruise, don’t expect to visit all the islands and wildlife-spotting sites you may have hoped for. Ask your cruise operator before booking about the best times and tours to suit your interests. Because of its uniqueness, the Galapagos is a heavily protected area. This means there are extra costs that travellers are subject to, such as entrance fees (US$100) and tourist cards (US$20). Make sure you should check with who you are booking with confirm if these fees are included in the price to avoid any unwelcome surprises on arrival.